Click here to view photographs from the event. This film screening of The Trial is free and open to the public. After the film, the filmmaker will answer questions about social justice filmmaking. Click here for a map to Social Science Building 2 Room 75. Brazil is undergoing the deepest political crisis of its recent history following the deposition in 2016 of its first female president, Dilma Rousseff. The Left in Brazil and abroad have deemed the impeachment process an institutional coup d’état where lawfare has been deployed to destabilize the country’s democracy and undermine its sovereignty. The imprisonment of former President Lula in April 2018 is the most recent development in the process of blocking the Workers’ Party from power. 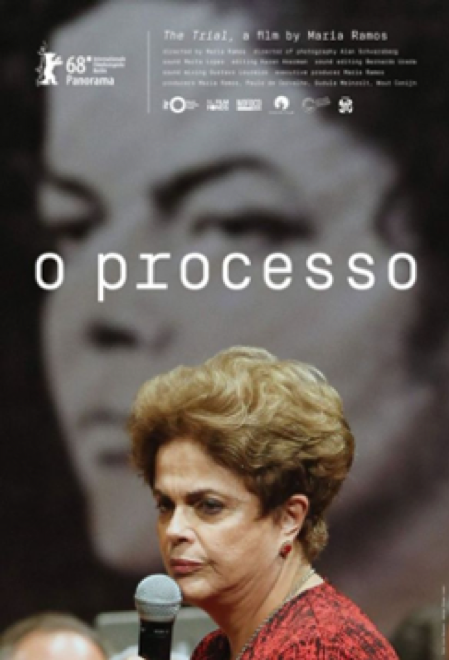 The acclaimed documentary The Trial, directed by Maria Augusta Ramos, offers a behind-the-scenes look at Rousseff’s impeachment trial and the struggle to prove the President’s innocence against a majority vote by a Congress riddled with corruption and misogyny. This event is sponsored by The Research Center for the Americas, Latin American and Latino Studies Department, Feminist Studies Department, Literature Department, Sociology Department, Politics Department, Chicanx Latix Resource Center, Office for Diversity, Equity, and Inclusion, Oakes College, Porter College, and Merrill College.